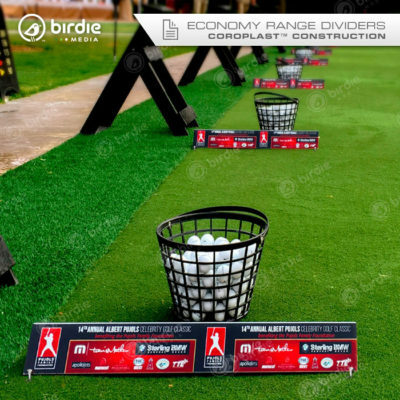 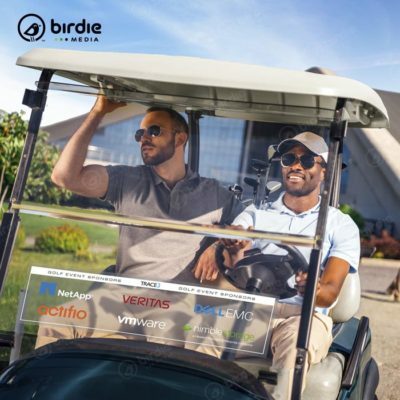 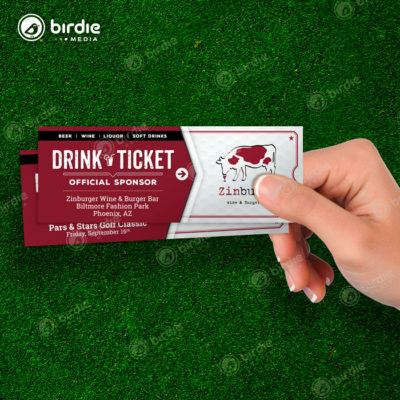 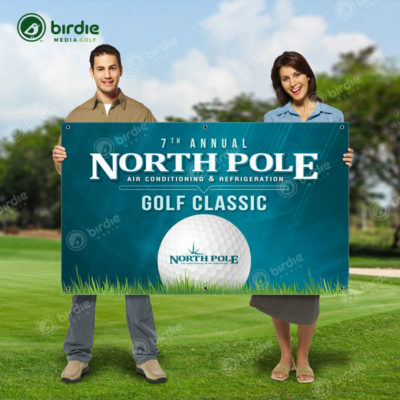 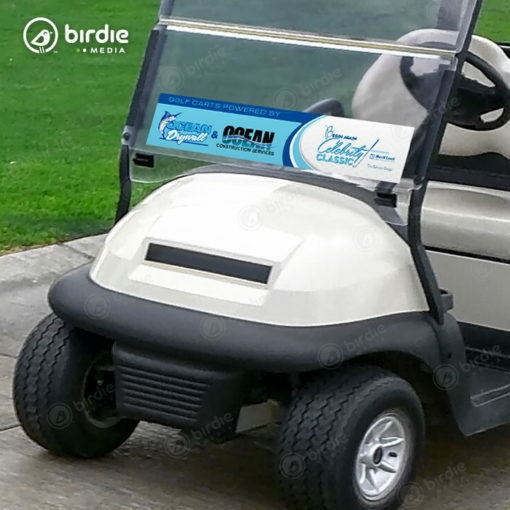 Golf cart windshield decals are a simple and cost-effective way to promote tournament sponsor logos and unlike other stationary event signage these decals travel with the golfer to every hole and convey their message throughout the entire event. 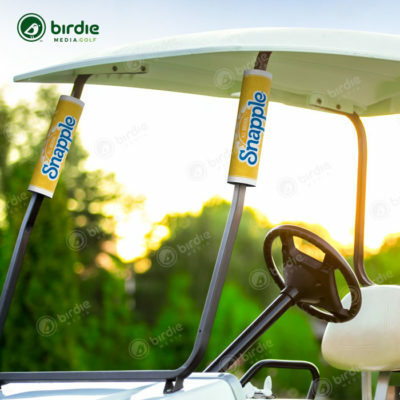 Golf cart windshield decals are similar to our windshield clings however; the primary differences are an opaque background, a slight shorter profile and an exterior windshield application. 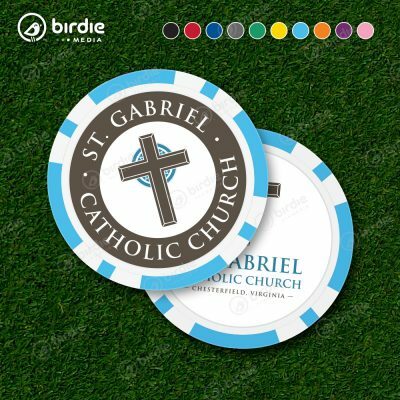 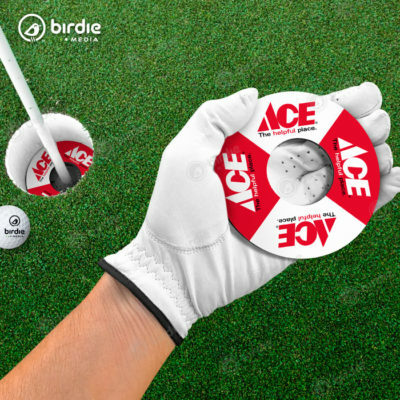 The low tack air release vinyl decals are ideal for limited time placement and are easily removed without leaving sticky residue like traditional sticker adhesive. 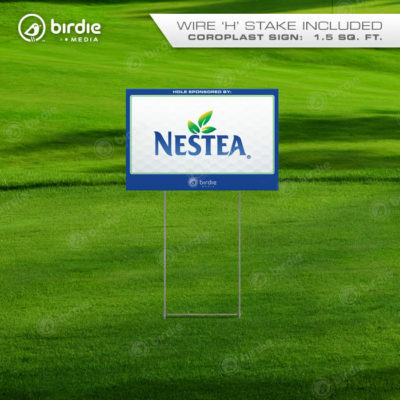 *Note: Cost is for 18 decals sharing the same sponsor decal(s) – not for 18 individual sponsors.